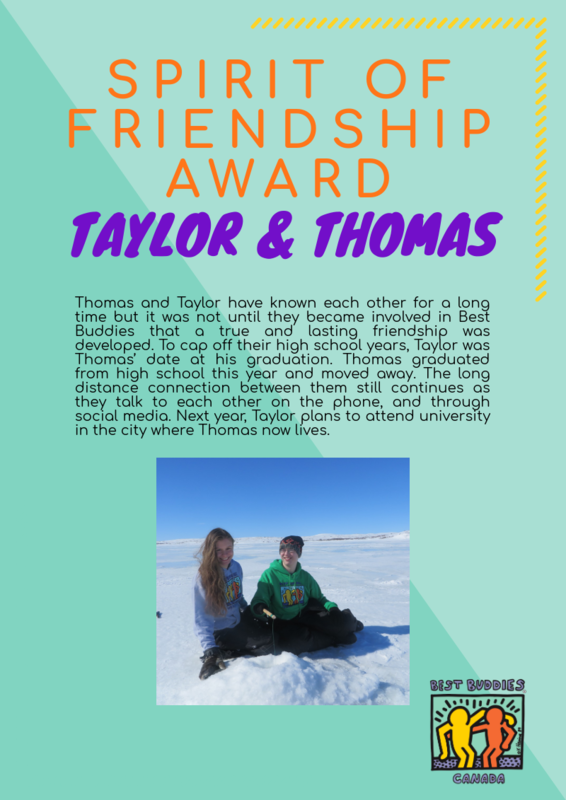 The Spirit of Friendship Award is a national award given to only one buddy pair who exemplifies the true meaning of friendship and who have become ambassadors of the Best Buddy program. Please complete the Nomination Form and return it along with all supporting documents by email to info@nullbestbuddies.ca, or by fax to 416-531-0325, before May 31. The Spirit of Friendship pair will become our spokes-pair for the year following their award and will be expected to be available to participate in special events in their region. Please fill out the Nomination Form and include an essay and photo. The deserving Buddy Pair will be a key speaker at the next Leadership and Development Conference. To start a Best Buddies chapter at your school please fill in the information below. Do you have a story you would like to share with our readers? Start a Chapter! Become a Buddy! Best Buddies provides all participants with a once-in-a-lifetime opportunity to make a new friend. We have chapters in every province of Canada. 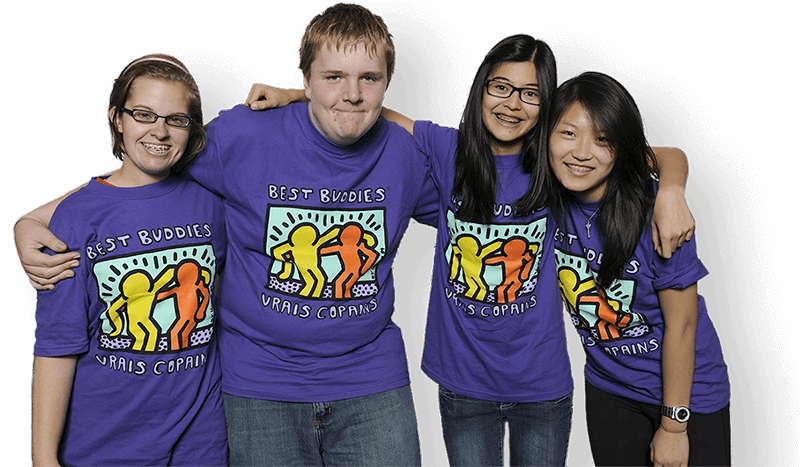 There are several ways that you can help Best Buddies Canada enhance our communities through one-to-one friendships between people with intellectual disabilities and students. 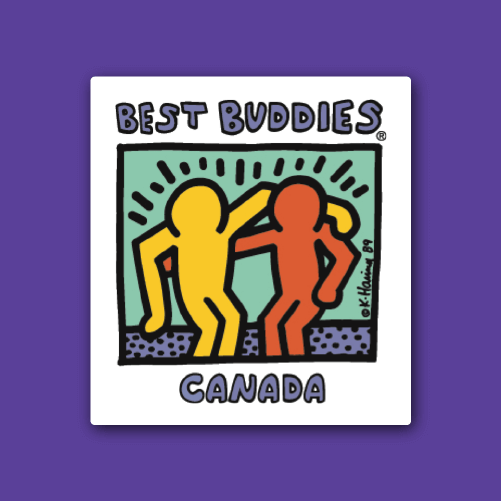 © 2019 Copyright Best Buddies Canada.